Travel makes new friends. 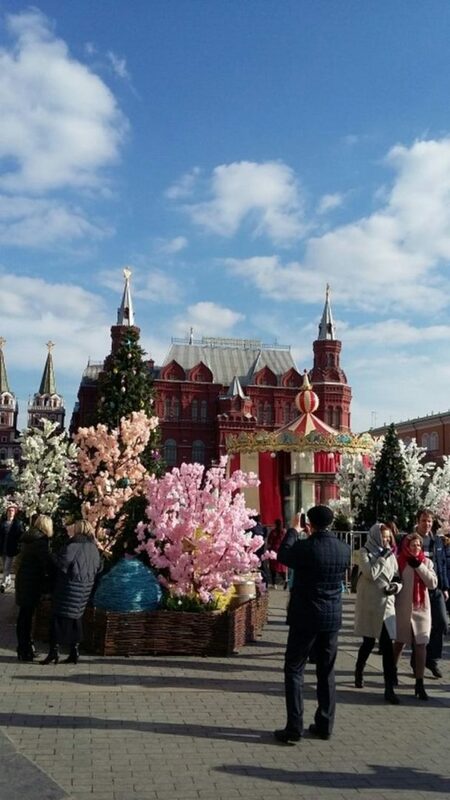 I have a correspondence with my tour Russian guide Irina, a mother of three sons, for over two and a half years. 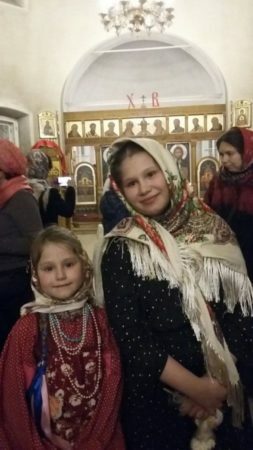 Her conversion to Russian Orthodoxy represents the average Russian turning away from Atheism to their Russian Orthodox roots. I asked Irina to email photos of Easter services. “The church where I go is named after the Wonder-working and Un-mercenary Saints Kosmas and Damian of Asia in Maroseika Str.,” she said. “I’ve been lucky to visit services these days. On Passions week services are especially touching, gorgeous and very long. Liturgies from Monday to Wednesday (Holy Week) last almost 5 hours. 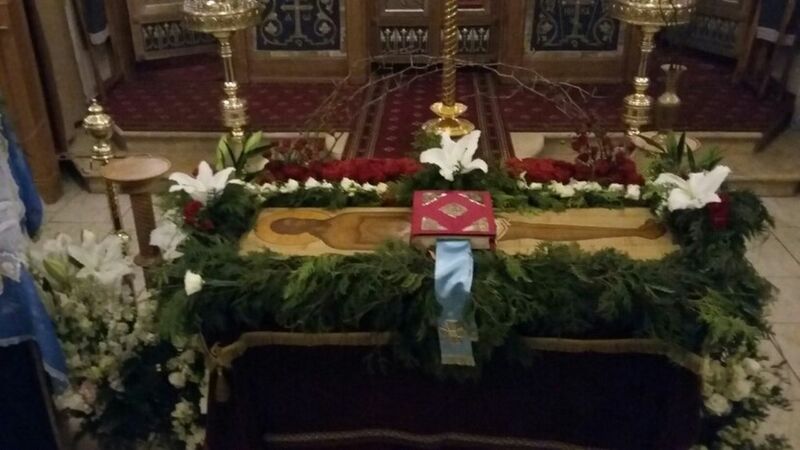 Yesterday, (Holy Friday, April 6th), there were three services and I spent almost all day in the church. Between the services volunteers helped to prepare for the main event – Easter night. This morning, on the Great Saturday after liturgy of Basil the Great (7 – 12 am) all kids, who came with their parents were rewarded for their patience. They could let white doves’ fly (for Annunciation). After that our priests consecrated Easter cakes and colored eggs which people brought in baskets. Now I’m preparing to go for the Easter service tonight (10 pm – 3 am). “Usually the choir singers stand along with the parishioners in the main hall, closer to the iconostasis,” she said. “This time the choir was transferred to the top balcony under the dome. From the top young singers (7 women and 7 men) sounded even better as the dome shape allows perfect acoustics. And when at the end of the service the priests started to exclaim ‘Christos Anesti!’ imagine over 400 voices replying with the greatest enthusiasm! The vibration of those voices was a powerful and refreshing wave which gave new energy to people after several hours of standing. 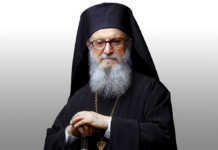 Irina noticed “that in my church of Sts.Cosmas and Damianis in Maroseika Str. there are many more children and teenagers, than in other churches where I’ve been. I think it’s because of this superior priest, Father Feodor. He himself is the father of eight children aged from 3 to 22 years old. He is a kind and cheerful person and in charge of our Sunday school. All kids adore him. By the way, this year his birthday coincided with the Easter holiday. He became 50. “The general cultural liberalization that followed Stalin’s death in 1953 brought a natural curiosity about the Russian past that especially caught the interest of younger generations,” according to Glenn E. Curtis, in the book Russia: A Country Study. “The ceremonies and art forms of the Russian Orthodox Church, an inseparable part of that past, attracted particular attention, to the dismay of the Khrushchev and Brezhnev regimes. 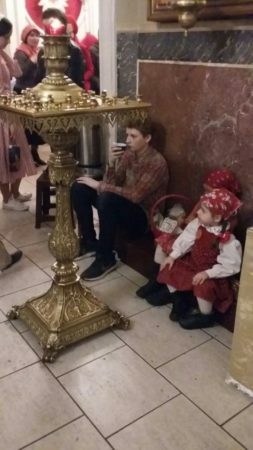 Historian James Billington has pointed out that in that period religious belief was a form of generational rebellion by children against doctrinaire communist parents.”There are no seats in her church. Everyone stands, as in traditional churches in Greece. Women and girls cover their heads with scarfs as the American Christian churches up to the 1960’s. Their iconostasis (altar) has traditional Byzantine icons and symbols. Youth, 3 A.M. Easter Breakfast, Sts. Cosmas and Damianos Church, Moscow, RU. Youth, Sts. Cosmas and Damianos Church, Moscow, RU. 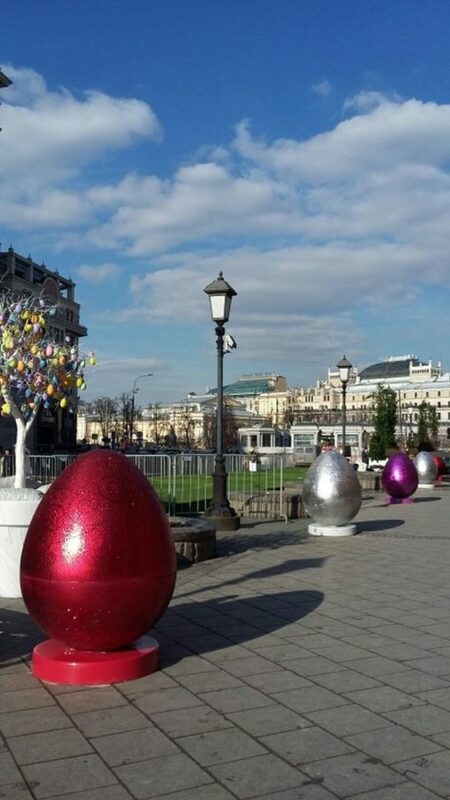 Easter, Moscow. All Photos by Irina.